This page includes a customizable header image and allows the App-user to view a list of previous 'Push Notifications' sent by your Club. Clubs can send notifications to everyone who has downloaded your App. To enable this functionality, the 'Push Notifications' option must be selected as part of the publishing process. 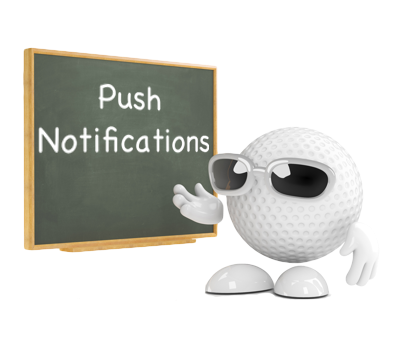 Note: Clubs that wish to send out 'Push Notifications' must request the 'Push Notifications Code' from iCaddy Apps. This code is generated specifically for your App as part of the publishing process. iCaddy Apps will then update your App with the relevant code to enable the Club to send out notifcations via the 'Push Notifications' function in the App's Dashboard. 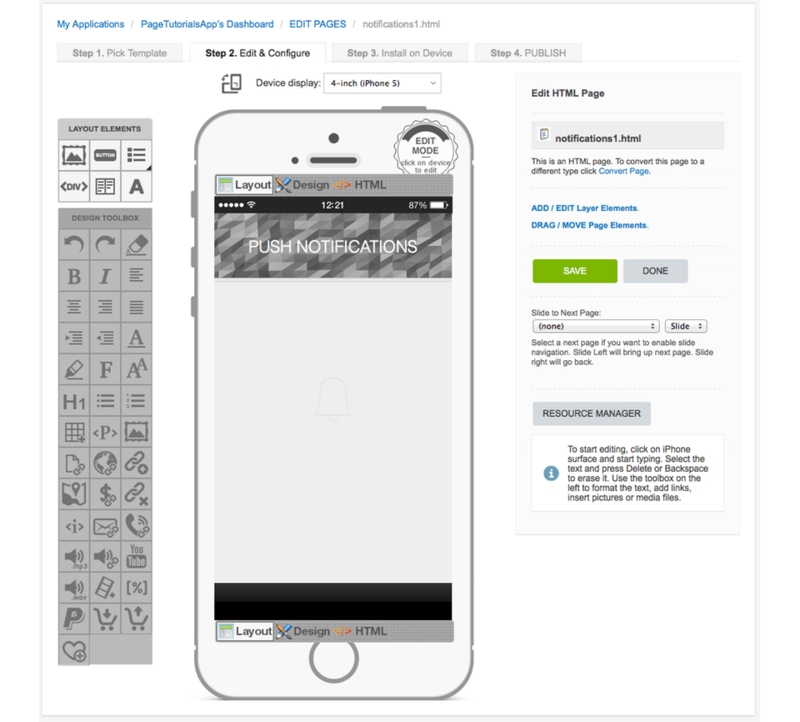 Note: This page type is provided for custom-build purposes and is not included in iCaddy App templates (by default). For information on how to edit the header, go to Help Using the Element Editor.